Thakor Patel was born in Gujarat, India. In 1980 he moved to Zimbabwe to help his cousin set up a print factory in Harare. There he lived until 2017 before migrating to the United States of America. The influence of print on his work is evidenced by the crisp forms, neat lines, and geometric shapes that make up his paintings. Set with minor variations in colour, gradient and form, these combinations result in surreal and abstract compositions. 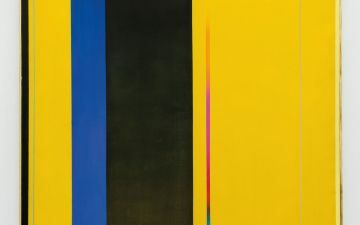 In his Untitled paintings (1989), the artist makes use of a range of vertical and horizontal lines to create a sense of depth. Variations in colour and gradient create an illusory effect. In each, a central, dark block runs down the centre. The one appears to hang like a medal, while the other splits the canvas in two. 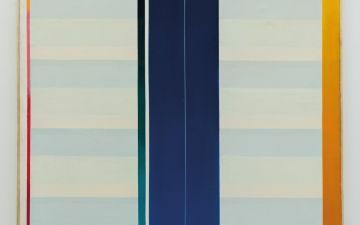 In both paintings, a small rectangular block consisting of five distinct colours sticks out: the one is suspended by a thin, disappearing line while the other is perched on top of a short white beam. 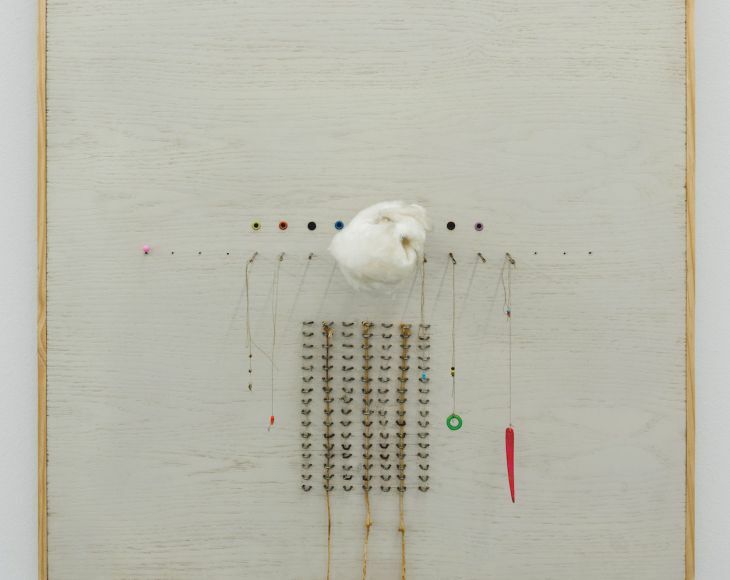 Both paintings include a small red symbol: one a circle, the other a triangle. In these works we see the artist balancing all of these elements up against one another to create a feeling of suspense and harmony. 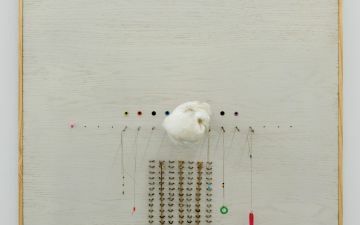 Recent exhibitions include Decompounding Experiences at Tsoko Gallery, Harare (Zimbabwe: 2017); and Thakor Patel: A Retrospective at the National Gallery of Zimbabwe, Harare (Zimbabwe: 2013). 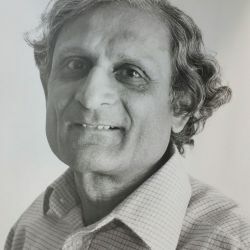 In 2016 he was awarded a residency at the Bellagio Centre in Italy by the Rockefeller Foundation, and in 1987 Patel won the International Visitors Award from the American Fund for Artist Colonies (FAC), New York. He was also invited by Dr Robert Mayfield (Chairman of the University of Texas, USA) to exhibit and take part in a fine art programme at the university.